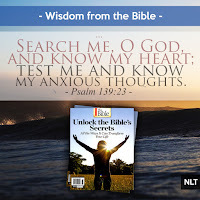 The psalmist’s invitation for God to search and test him was the perfect prelude to transformation. If you’re committed to making some changes in the coming year, try following the psalmist’s example. Ask God to guide you in evaluating your own life to determine which areas are ripest for change. Here are a few reflective questions to help you start the process. • On a scale of one to ten—with one being “completely unsatisfied” and ten being “perfectly satisfied”—how happy are you right now with your health? Your finances? Your friendships and work relationships? Your spiritual state? Your family? Your personal life? • How do you feel as you contemplate a new year and a new you? Are you excited? Confident? Nervous? Worried you’re aiming too high? • What opportunities do you see on the horizon for the year ahead? • What good habits can you start that will have a significant impact on your life? • What bad habits and destructive patterns are sabotaging your life? • What specific circumstances or situations will present challenges for you as you attempt to make changes in your life? • What doubts, fears, or temptations do you anticipate wrestling with? • What have you learned from past experiences that will help you succeed this time around? 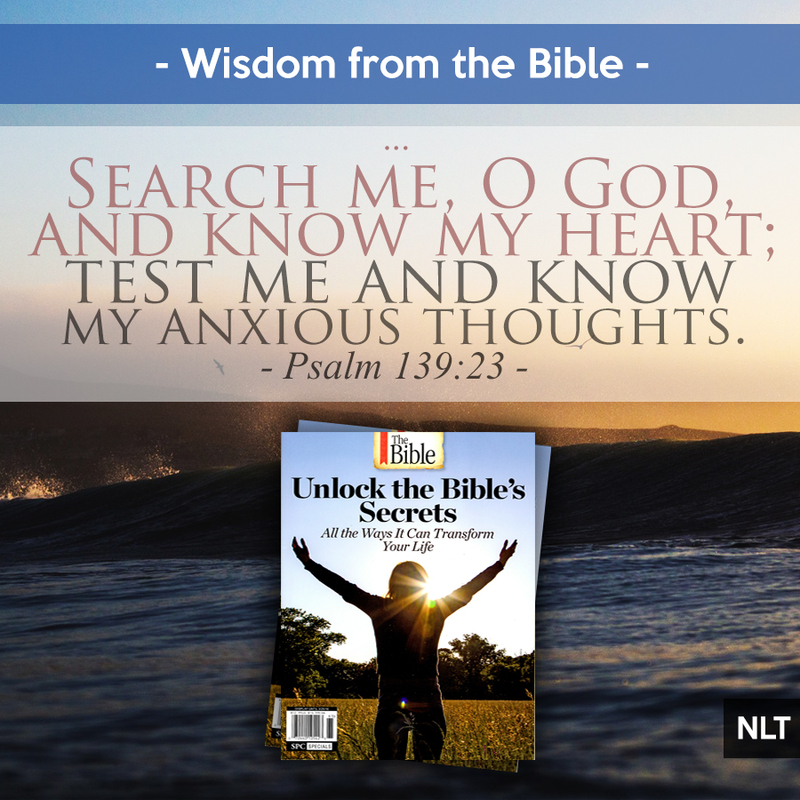 • Who can you turn to for help, encouragement, support, or companionship in the coming year? Once you have a clear picture of who you are now, who you want to be, what obstacles and challenges lie ahead, and what sources of strength you can draw upon, then you can start to plot your course. 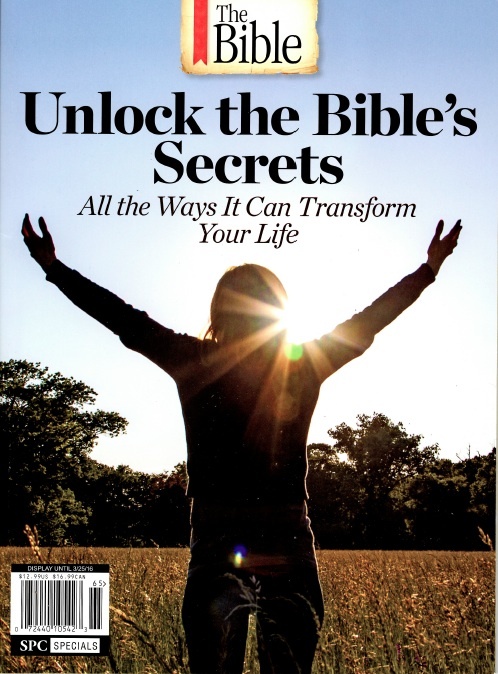 This blog post has been adapted from Unlock the Bible's Secrets, a special-edition magazine that is now available in stores.